Taking part in the open house day 11th may, 11AM – 3PM. Please call the office to register. Rumwell Park is Grade II Listed, understood to have been built in approximately 1857, of mellow Ham stone under a slate roof enhanced by climbing wisteria, in the Italianate villa style. The house contains a number of significant architectural features, including high ceilings, long sash windows, many with working shutters, and ornate cornicing and picture rails to several rooms. The light and spacious accommodation flows well and many of the rooms enjoy glorious views over the surrounding countryside. The house has the benefit of a small one bedroom annexe and a home office as well as a range of useful outbuildings. The main garden to the front and side of the house is mainly laid to lawn with mature trees giving the feel of a parkland garden with superb far reaching views. To the rear of the house is a secluded private garden, also with glorious views. The house is located to take maximum advantage of far-reaching views across the Blackdown Hills and up to Exmoor and there are wonderful country walks within the area. 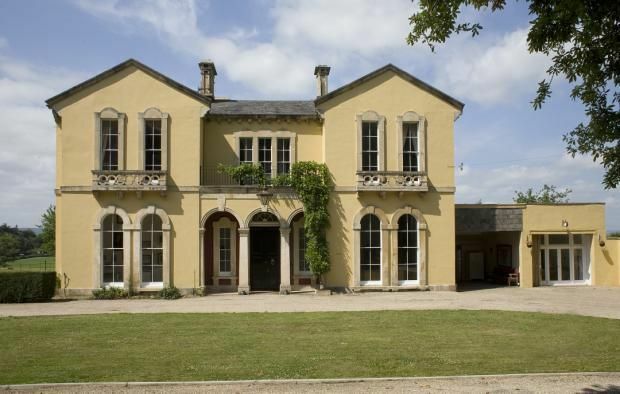 Rumwell Park is currently operating as a wedding and event venue and the grandeur and location of the house make this ideal. However, is also a superb family home. Rumwell Park is situated above Rumwell village, a small village with an inn, The Crown Inn, and an excellent farm shop with a butcher's, fishmonger, bakery, deli and greengrocery sections as well as general produce and flowers and plants. There are a number of garden centres nearby. The M5 motorway is readily accessible, affording links with the M4 north of Bristol to give motorway access to London. The county town of Taunton is just 2 miles away and has excellent schools for boys and girls of all ages, including Taunton School, Kings College, Queen's College and King's Hall, as well as Castle School, just a short walk away. Taunton is home to the famous Somerset County Cricket Club, from which superb views can be enjoyed of the wonderful church towers which are so much a feature of Taunton. The town also has a good range of shopping facilities, including several supermarkets and the large Musgrove Hospital. The smaller town of Wellington is about 4.5 miles away, with a range of facilities and a Waitrose supermarket. The coastal town of Minehead is about 23 miles away, with much of the coastline in the ownership of the National Trust. Minehead is the start of the South West Coastal Footpath, which extends for 630 miles around the South West peninsula to Poole Harbour in Dorset. For those enjoying walking, bird watching or riding, the coastline and Exmoor National Park provide superb recreational opportunities. Approached over the entrance drive is a car port, adjoining which is a single storey home office. There is a rear courtyard with a hot tub within a gazebo, a number of useful brick outbuildings and a gardener's w.c.
A cobbled path from the rear courtyard leads to a very private area of garden with a lawn on two levels, an apple tree, a number of palm trees and a mature gooseberry bush, as well as several other varieties of shrub. Within this area is a summer house. To the front of the house is a central island of lawn and the gardens are bounded by sweeping areas of lawn, interspersed with mature trees, including conifers, oak and copper beech. Beyond the triple garage is an area of orchard with several apple trees.